Unlike any of our competitors, our packages include researched strategies to generate visitors to your website through Google or social media. We can then implement these strategies for you to get the phone ringing. All of our websites are fully mobile responsive, the standard insisted upon by Google themselves so they are equally as effective on desktop, ipad and mobile phones. If you are not mobile friendly, you will be missing opportunities. High end animation and video production is all included in our online marketing packages as standard. The videos can be used to make your social presence really stand out from the competition. "Well I honestly could not be happier with my website or my mobile site. 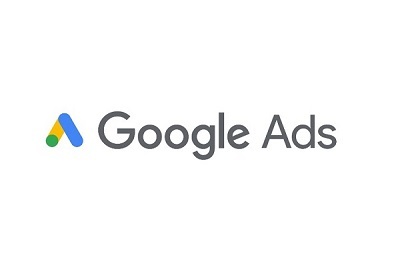 The Google Adwords campaign Be Smart Media created and manage for me generates most of my enquiries. I regard Be Smart Media as an integral part of my business... I could not do without them!" "We have recently upgraded our website, which has been with Be Smart Media for years now, to be fully mobile phone friendly redesigned to make it really modern. We had been live with the new site for a month when we were approached by Hatfields Furniture, who had looked at our site and had been impressed with how we looked as a company. Thanks in part to Be Smart Media we now have a working relationship with the premier furniture supplier in Colchester." 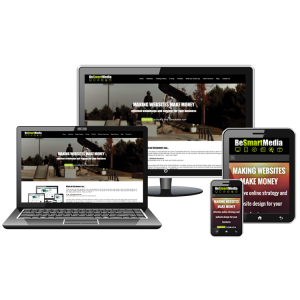 "Be Smart Media have been our web design company of choice for some considerable time now. They have achieved first rate results in terms of Google position for us and recently added a mobile site with click to call and click to text functions. We had no idea this technology was even available to us and certainly not at that price... thank you!" A website without visitors is like a shop without customers. We provide a solution. Does your website make money? Be Smart Media is a Colchester based web design and development company providing websites, E-commerce sites (online shops), pay per click campaigns such as Google Adwords or Facebook Ads, search engine optimisation and online credibility strategies as well as a number of other complimentary services, all designed to maximise your company's return from the internet. The most important consideration - Strategy Before Design! At Be Smart Media designing and building an eye catching website is only the start of the online journey. We believe that a website is a business asset and should not only look the part but also have a strategy behind it to ensure your website makes money! We discuss what you need the site to do but we also make suggestions as to what a professionally designed website coupled with a carefully considered online strategy could do for your business. 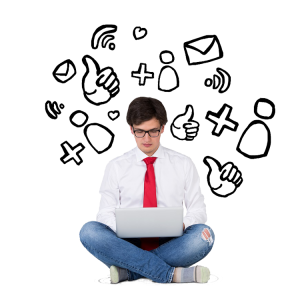 The Bottom Line - At Be Smart Media we know an online strategy must be devised to maximise your return from the internet before a new website design is even discussed. For example, if you are a gardener, you may prefer to target a certain type of work, if you are a restaurant, you may want a booking system but you may also want a way of keeping in touch with your customers regularly. If you have a new product you want to trial online, you will need ways of generating lots of cost effective visitors to your site. If you provide an emergency service like a locksmith or breakdown service, you will need your site to be fully mobile phone responsive, as most people having an emergency access the internet using their smart phones. Here at Be Smart Media we have worked with hundreds of local businesses and can explain the sometimes quite complex in simple layman's terms. 1. 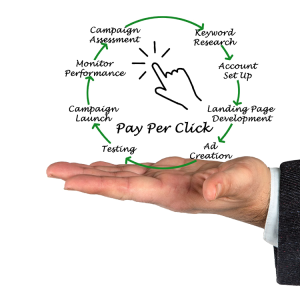 It is precisely measurable - you know exactly what it costs and can calculate exactly what business you generate from it (your return on investment). Get the “recipe” right, rinse and repeat! 2. It is completely controllable - it can be switched on and off and even altered in real time. 3. It is laser targeted - No scatter gun approach - you are marketing to those people who are ACTIVELY SEARCHING ONLINE FOR YOUR GOODS OR SERVICE. 4. It is easily automated - once you have all of the ingredients right for your business, you can leave it to run on autopilot - generating leads/sales/enquires with a positive return. 5. Improved Google position - Driving high quality traffic to your site using Google Adwords can massively improve your natural Google position*. Anyone can get online, tweet, post and Pin these days. It’s been proven time and again that it really does work. What’s more, it can be a cheap form of marketing because social media platforms are (essentially) free and anyone can learn how to do it. The biggest drawback is that it takes time. To advertise on these platforms you also need a basic strategy at the very least in order to get results. How can Be Smart Media help you? Facebook is one of the most powerful of all the social media platforms out there. If you can get into someone’s newsfeed, you can tap into their friends and connections. The challenge is: how do you get into their newsfeed when hundreds, if not thousands of other companies are trying to do the same thing? Facebook offers a range of advertising options which we are experts in implementing! Twitter opens up the whole world to you: you have a no-holds-barred access to anyone and everyone. All you need to do is follow them. But how do you sift through the masses of people and businesses out there? Who do you contact and how do you go about it? How do you spread the word about your brand without putting people off? Pinterest is the social media platform people can spend hours on without realising it. So how do you get them to see the fabulous pictures you’re posting, and how do you get them to share your Pins? Google Plus is the 'old boy' of social media: not because it’s the oldest, but because it’s the clunkiest. How do you connect with other businesses and use it to get your company higher up in the Google search? We can do it. We know how and pride ourselves on working closely with you to build your brand and spread the word. or get in touch with us and we will send you one in the post!